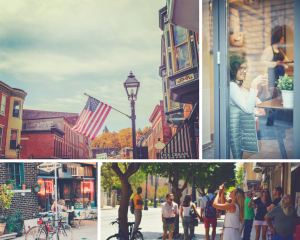 National Trust Insurance Services, LLC provides specifically designed insurance solutions to Main Street Organizations and Main Street Businesses. We can offer a comprehensive insurance package that is competitive in coverage without losing sight of the bottom line! You can also utilize our Quick Quote feature below for an estimate of pricing on Directors & Officers coverage. It is important to follow the instructions to receive quote. 2. Enter email address; If you are a Main Street or Preservation organization, select 'Chamber of Commerce/Business Leagues' for the Nature of Operations, and then enter the state where your organization is based, your organization's Total Assets, and your organization's salary expense. 3. Click compute for a quick indication and then Continue to the Application to answer a few more questions and receive a full quote by email.